Faye Isaac Opened her designer children's business Abacus on October 31. Lincoln-based entrepreneur Faye Isaac has launched her new creative business venture, created just for the little ones. Online-based Abacus went live on October 31 selling unusual toys, books, magazines and interiors. The site showcases eco-friendly items for “longevity, imagination, stimulation and creative play”. Faye Isaac (25) lives in Lincoln with her partner and 2-year-old daughter. After graduating from the University of Lincoln with a degree in Journalism in 2010, Faye set up online vintage clothing shop Most Wanted Vintage, which is still running today. She said: “I have always had an entrepreneurial drive. Abacus came about whist shopping for my daughter and looking for unique and functional design with an environmental conscience. Abacus hosts small-scale designers from Scandinavia to Japan, who offer products with functional quirky design in mind. 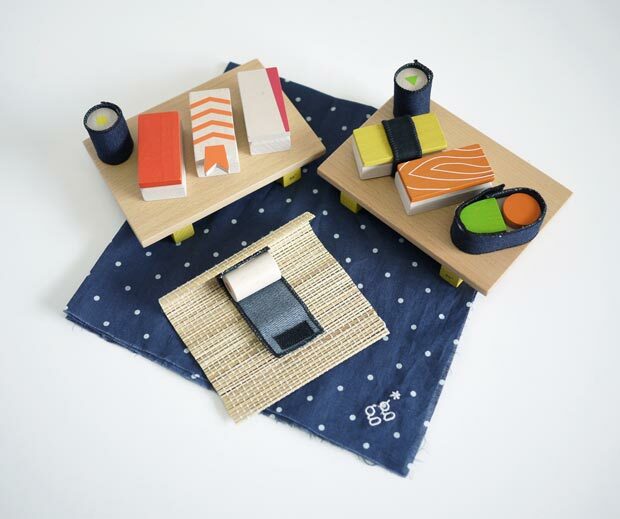 Parents will be able to find wooden sushi-making play sets as well as ‘magnet towns’ of Paris and London. Among the unique wooden toys available at Abacus is a Kukkia sushi-making set. Publications available to purchase include London-based ANORAK Magazine, stories and even an Andy Warhol colouring book. “I am currently building brand profiles and interviews to tell their story, and ensure my customers are making the right choice,” Faye added. “I will also be holding pop up events such as exclusive previews of new collections and brands.